A US State Department official and former US Ambassador to NATO was reported to have attempted to bully the Ukrainian government into signing the EU agreement which would have dragged Ukraine into the economic crisis plaguing Western European countries, and transformed Ukraine into a puppet state, completing NATO’s military encirclement of Russia. But this is the “prettier” side of the US and EU seduction which will culminate in merely ravaging the Ukrainian economy and society. In reality, the Ukraine-EU Association Agreement is part of a military arrangement which will enable NATO to completely split Ukraine from Russia, and place it in the perilous position of being in the middle of any east-west confrontation. Eastern Ukrainians are fiercely opposed to Ukraine’s signing this inherently military document of incorporation into the EU, and the West’s provocative encouragement of Kiev’s demonstrations against Yanukevich risked inciting a civil war. The proposed “Association Agreement” between the Ukraine and the European Union is in fact a dangerous NATO military agreement disguised as a customs and economic agreement. Even if the treaty does not pass, it reveals the truly continuing aggressive goals of the NATO leadership and their willingness to use all means of deceit to achieve their ends. Clearly in order for the military elements of this proposal to have reached this stage of development, Ukraine-NATO military discussions and commitments must already be intensive and advanced. This explains the extraordinary anger on the part of the NATO countries when Ukraine withdrew from this agenda. The treaty was surrounded by a propaganda campaign which fraudulently tried to convince the Ukrainian people and the world that it was an economic agreement bringing prosperity and no visa requirements for travel within the EU. The military component of this ‘economic agreement’ is actually the first substantive part of the document (see Title II Articles 4-16). NATO’s plan under the Agreement is accomplished by integrating Ukraine into the EU’s military structure (the European Common Security and Defense Policy-ESDP or CSDP – which is dominated by powerful NATO states, and the text makes it clear that association with the EU military structure includes its coordination with the US military and NATO. The goal is to incorporate Ukraine into NATO’s continuing drive east against Russia and Belarus, the targeted regions to the east and south of the Black Sea, and even “global” challenges (see Article 4, Sec.2(c)). The Treaty calls for a “political dialogue” to promote “convergence on foreign and security matters with the aim of Ukraine’s ever deeper involvement into the European security area (and) strengthen cooperation and dialogue between the Parties on international security and crisis management, notably in order to address global (!) and regional challenges and key threats” (Article 4, Sec. 1, Sec. 2(c)). And the European Defense Agency (Article 10 Sec. 3) which reports to the European Commission. 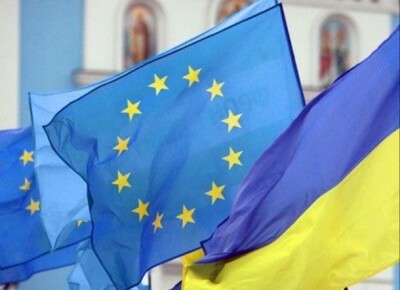 The Treaty calls for “increased participation of Ukraine in EU-led “civilian and military crisis management operations as well as relevant exercises and training” (Article 10, Sec. 1). Article 10, Section 3 specifically mandates the kind of military technological cooperation necessary for the degree of interoperability critical for unified command and control and combat efficiency; anticipating that Ukraine would sign onto this agreement, on June 24, 2013 the EU-Ukraine Cooperation Council which was established to implement the agreement published the “EU-Ukraine Association Agenda to prepare and facilitate the implementation of the Association Agreement” including: “increase interoperability where appropriate between Ukrainian peacekeeping units and EU Member States forces through lessons learned from relevant EU crisis management operations to which Ukraine participated, and through involvement of the units of the Armed Forces of Ukraine into the formation of EU Multinational Tactical Battle groups.”The issue has been framed between the 2008 Bucharest summit where NATO declared that Ukraine will become a member of NATO whenever it wants and when it meets the criteria for accession and June 3, 2010 when the Ukrainian parliament rejected, with 226 votes, the goal of “integration into Euro-Atlantic security and NATO membership” from the country’s national security strategy.The European Union and US are Inciting a Revolt in Ukraine to Expand NATOThe US and NATO “support” – in reality, incitement – of the protesters in Kiev who violently smashed and decapitated the statue of Lenin bears an alarming similarity to the US NATO approach to civil disorder in Syria . One can only wonder how many of the “demonstrators” in Kiev were spontaneously and authentically opposed to Yanukevich’s government. Certainly, IMF imposed austerity measures have nothing to do with the “dignity” and democratic rights of Ukrainian citizens, who would be degraded by the imposition of IMF austerity measures which would further demolish their sparse living conditions.Of course, the separation of Ukraine from Russia was a paramount goal of The Grand Chessboard. It is also imperative to question the motives of US-NATO support for the Ukrainian Svoboda party, whose Nazi sympathies and affiliation are notorious – and well documented.